After LaLa’s epic one-liner to Raquel on the last episode, I am looking forward to what can possibly come out of the mouths of these cast members on this episode of Vanderpump Rules. In less than 24 hours, LVP is throwing a rager for Daily Mail at her newest baby/restaurant, TomTom. She is nervous because TomTom is not quite ready for a party, but alas, the show must go on. The stress is not affecting either Tom in the appropriate way. Sandoval is freaking about uniforms and Schwartzie is “perfecting playlists” over at James Kennedy’s apartment. Seems like a natural move for Schwartzie to be the one to brainstorm with James…I mean, James talks mad sh*t about his wife on the reg. Speaking of James talking mad sh*t, he is busy penning a letter to Randall, LaLa’s boyfriend. He has high hopes that this apology letter will rekindle his friendship with LaLa, but Raquel shares her displeasure with James’s newest idea to resurrect his relationship with LaLa. James decides against writing the letter and on cue, Schwartzie enters the apartment to talk music. Schwartzie seems to forget that he’s supposed to be mad at James. It takes him a little while to address the elephant in the room and James begins losing his mind at Raquel’s contradictory behavior. Evidently, Raquel was contemplating showing up to Girls’ Night In, ya know….on TUESDAY…James’s used-to-be-day to DJ at SUR. The guy goes ballistic on his girlfriend and Schwartz offers some “Dude, chill” to try and deescalate the increasingly toxic situation. This is the type of behavior Schwartzie is used to: someone storming about, crying, freaking out. Sounds juuust like Katie. When James comes back, he tries to “scapegoat” Katie, and for once, Schwartzie attempts to stand up for his wife. He goes as far as saying, “James, I think you’re a phenomenal DJ. I just don’t think you are a phenomenal drinker.” James cries and snorts about how his night was stolen, but really, his storyline is just getting stale. Later, LaLa meets a desperate Scheana out for some coffee. Leave it to Scheana to “call for every d*ck” (LaLa’s words not mine). Scheana is desperate for male attention and desperate for friendship. Scheana cannot believe that LaLa hasn’t heard the news about her hanging and banging Adam. I mean, she basically told everyone and their mother. 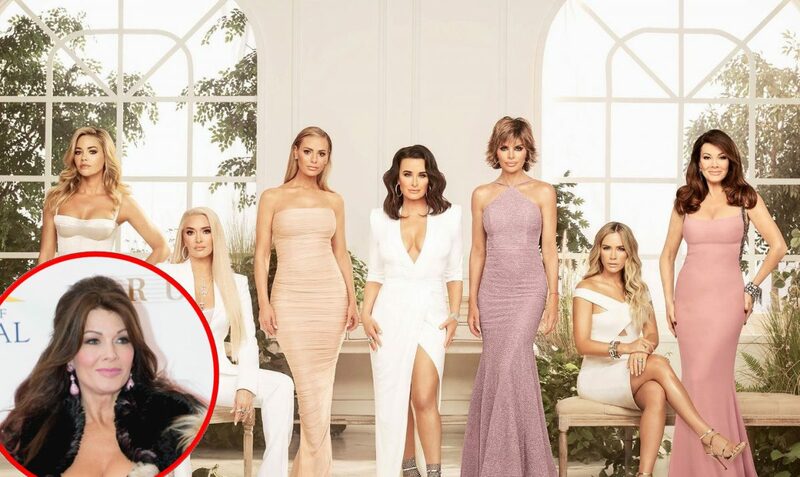 LaLa steers the convo in a different direction and decides that she wants to plan a girls trip to thank the ladies for supporting her through the death of her father. LaLa wants Scheana to know that “as an observer,” things aren’t that great when it comes to Scheana’s relationship with the other girls. Scheana claims that she wants to rebuild her friendships with Katie, Stassi, and Kristen, but it ain’t gonna be easy to break into that Witches of WeHo trio. 39-year-old Jax is stuck working the back bar on Girls Night In. Sounds like #goals. The gang’s all there…obvi and a few noteworthy things happen in this segment. LVP makes her way over to SUR with a term sheet in hand for Tom and Tom. She stresses that this 5% “partnership” is about “trust” and the fellas do their best to make her feel like they have Lisa’s back. So, it’s 5% official, Y’all! Oh and LaLa tells the ladies that she wants to “fuel the J” for a 20-minute flight and treat them to a girls trip. Surprise! Why is Jax wearing a wedding band? This guy… For his last year of his 30’s, Brittany brings her man to the nicest seafood shack in the area and they discuss, what else? Beer cheese. “We should have brought a sample of beer cheese. This is the place for it.” Luckily, Jax’s sister phones in to break up the monotony and wishes her bro a happy birthday. Jax becomes emotional talking to his sister, particularly when he starts chatting about his mom. What we didn’t know is that according to Jax, his mom didn’t handle his father’s cancer the right way. It’s very cryptic, but something tells me we will find out soon. Things seem to be falling apart over at TomTom, especially when Tweedle Dee and Tweedle Dum get involved. 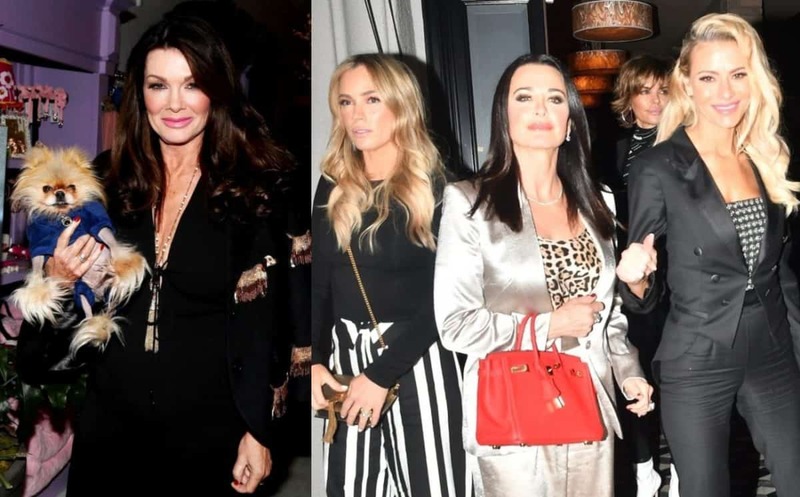 The guys talk “guest list” for this evening’s events and LVP is bewildered when they rattle off their never-ending invitees. You can actually see Lisa eye them sideways, as she is not quite sure if she can trust these boneheads with this whole ordeal. Looks like Kristen drew the short straw when it comes to making the cut. She gets uninvited and is displeased. But that awkward moment isn’t stopping Tom and Tom from prepping for the party and staying positive. They roll up to the Daily Mail party in their matching suits and shout thank you to their 5% of employees. As the guests stroll up, everyone is full of shock and awe. But I mean, LVP was the one who put this together…was there ever any doubt? I love how Sandoval and Schwartzie sit back smirking like they were the brains behind the operation. Also, I think it’s hilarious that Brittany and Jax think they are practically on the same level with Tom and Tom because they are beer cheese extraordinaire. LOL. Another hilarious moment is watching James, the DJ, up in the closet spinning beatzzz for the party. He’s doing his best to make the situation better than it is, but the reality is, he’s stuck in a closet while everyone else is celebrating. Well, not everyone…Jax is feeling a little blue today since his mom hasn’t called him to wish him a happy birthday. But alas, he manages to power through to enjoy the day. By the end of the night, Lisa is drunk trashed and it is amazing. I never thought I would see the day where her eyes were half-mast, her hair was tousled, and she was a bit slurry. #Success. TELL US – THOUGHTS ON THE LATEST EPISODE OF VANDERPUMP RULES? WAS LISA DRUNK AT TOMTOM PARTY? WAS SHE RIGHT NOT TO INVITE KRISTEN? DO YOU FEEL SORRY FOR JAMES?